Looking to build up your collection without breaking the bank? 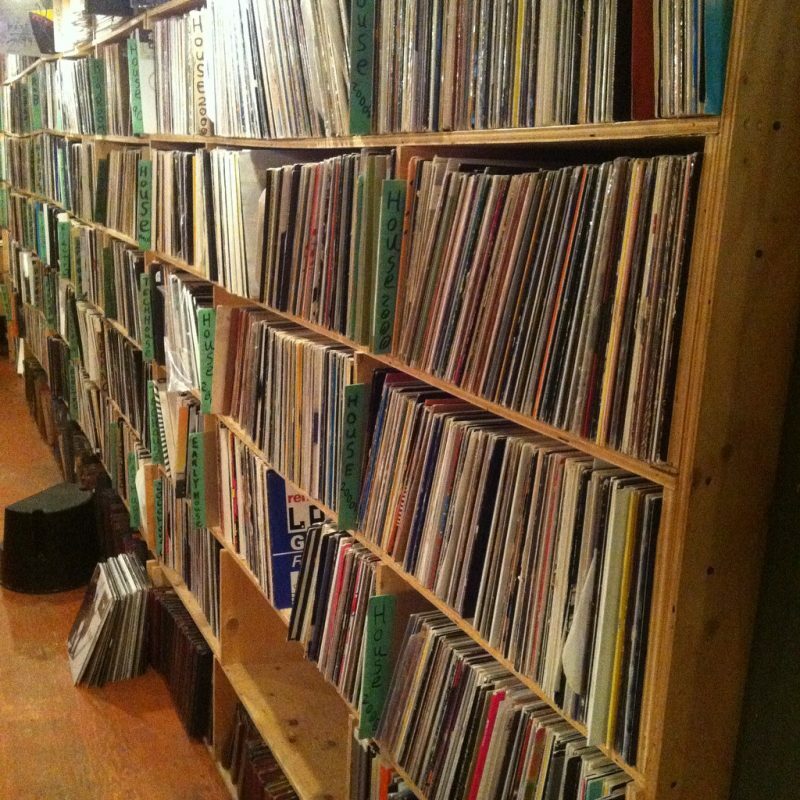 At the rear of the store you will find thousands of records from all eras and styles at clearance prices, good titles overlooked, ignored or unexplored to help you build up a bigger collection. By simply opening your ears to the unknown, you can bring down the cost of your regular record store run. The progress of time filters our records through a system that starts at our new arrivals where unusual records get a few weeks in the spotlight, to our stock bins where familiar faces wait patiently for months for a new owner and then to our liquidation section where good records lie in limbo for years until musical tastes return to claim them. The back area is divided down the middle into LP and DJ collections, separated in the center by our freshly discounted bins. Both walls are organized into sections representing the styles and eras on offer. Here you will find those records you didn’t already know you liked by acting on a hunch (nice cover, check those song titles, that looks like fun), taking a pile to the listening stations, jigging the needle and sounding for good enough sounds.